Few would have thought that Bangkok would be a place for great American barbecue. 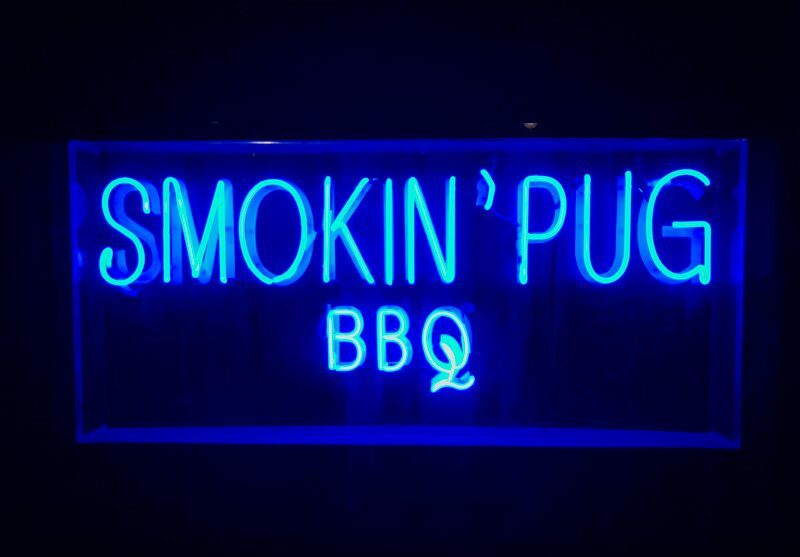 The Smokin’ Pug was established solely to serve authentic, slow-smoked Texas-style barbecue. We simply had to find out if this restaurant and bar lived up to expectations! 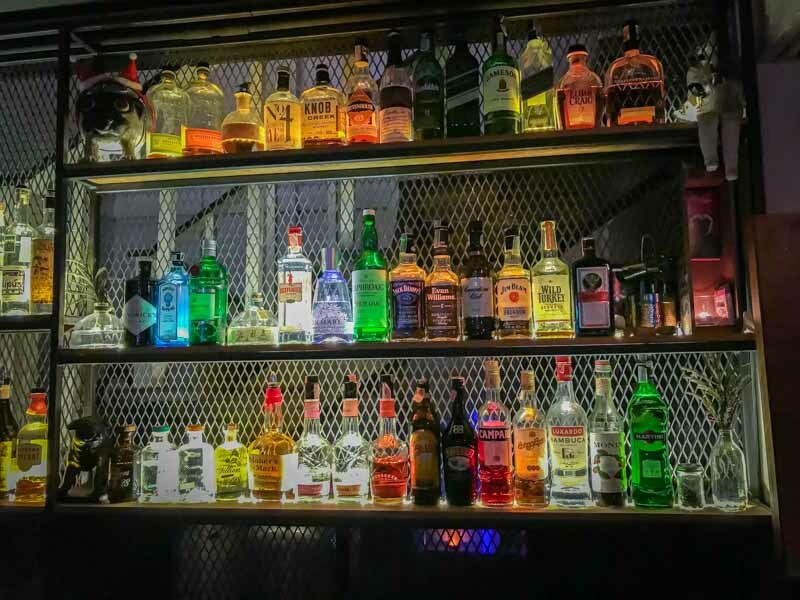 Relocated to a whole new location at Langsuan Road, The Smokin’ Pug is now just a 10-minute walk away from Chidlom station. 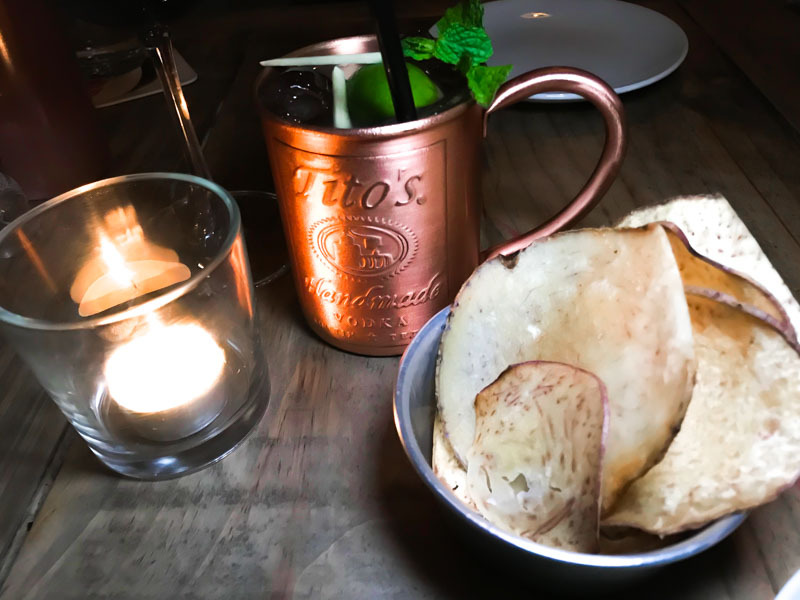 The restaurant and bar had a strong Texan vibe with its rustic decor and American music, with a farmhouse feel to it, especially when we were being led up a wooden staircase to our table on the second floor. The Smokin’ Pug was renowned for its drinks as well before it shifted, so we had a glass of House-Pour Red Wine (THB250, approx. S$10.50) and one Tito’s Texas Mule (THB275, approx. S$11.60). After hearing so much rave about the cocktails here were, we were slightly disappointed by how ours tasted. It was really mild and lacked the punch we thought a combination of Vodka, Pimento ginger beer and fresh lime juice would give. After the drinks, it was time for food. 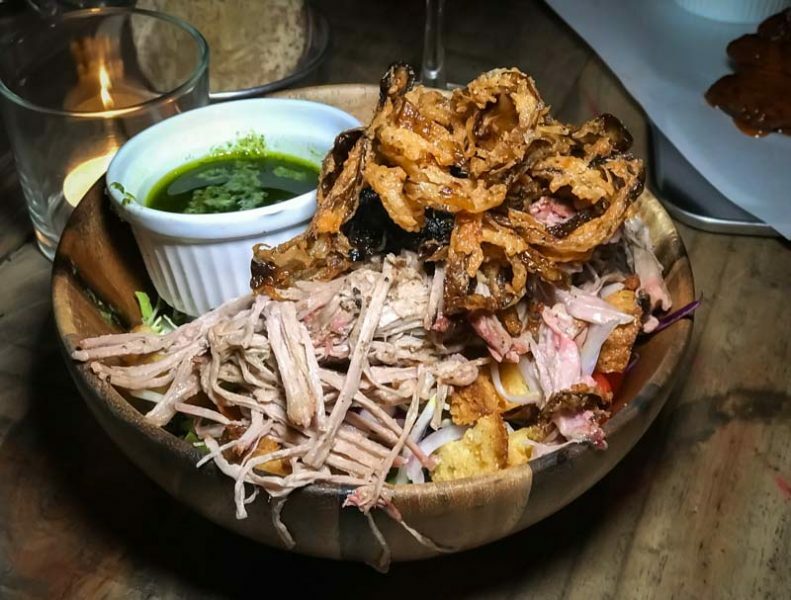 We tried the Smoky Pulled Pork Salad (THB395, approx. S$16.60), along with a recommended Minty Lime Vinaigrette. The pulled pork was soft and tender but it seemed to lack flavour. Perhaps, they could have been more generous with the pork rub. We also had the Smoked Chicken Wings (THB250, approx. S$10.50 for 8 wings) as another starter. 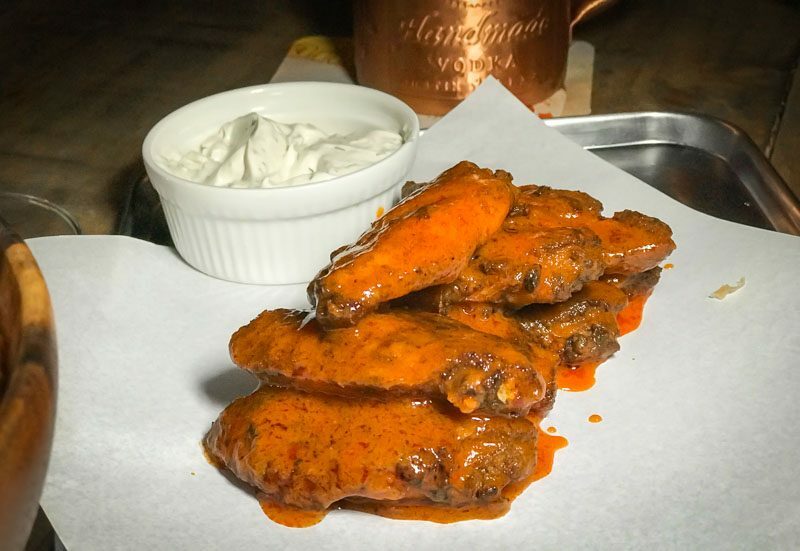 These chicken wings were served in the restaurant’s tangy buffalo sauce and a side of buttermilk ranch sauce. The buffalo sauce had the right amount of acidity and heat, while the ranch was slightly sour and creamy with a hint of herbs. Our suggestion is that you spread some of the ranch sauce on top of the wings before taking a bite. The flavour combination was simply divine. Definitely what buffalo wings should be like! On to the highlight at the Smokin’ Pug’s, the Baby Back Pork Ribs (THB825, approx. S$34.60 for a full rack)! We definitely had high expectations for this dish. Dry-rubbed with the restaurant’s secret seasonings, slow-cooked and coated with their Kansas City sauce, these ribs have been carefully smoked in the Pug’s own smokers. The result? A dish that’s simply divine. The meat was tender and came off the bone easily, but still retained the right amount of firmness. There was an intense smoky flavour throughout, which was a testament to the restaurant’s use of authentic smoking techniques and imported wood chips. The sides of cornbread, baked beans and homemade coleslaw were rather average though. Nonetheless, these were some of the best American barbecued ribs I’ve ever tried. 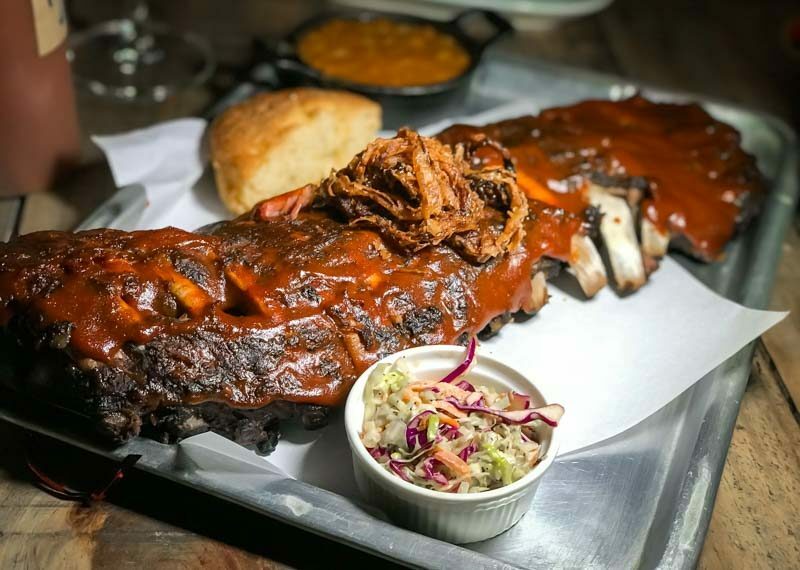 If you are looking for the best American barbecue in Bangkok, look no further. 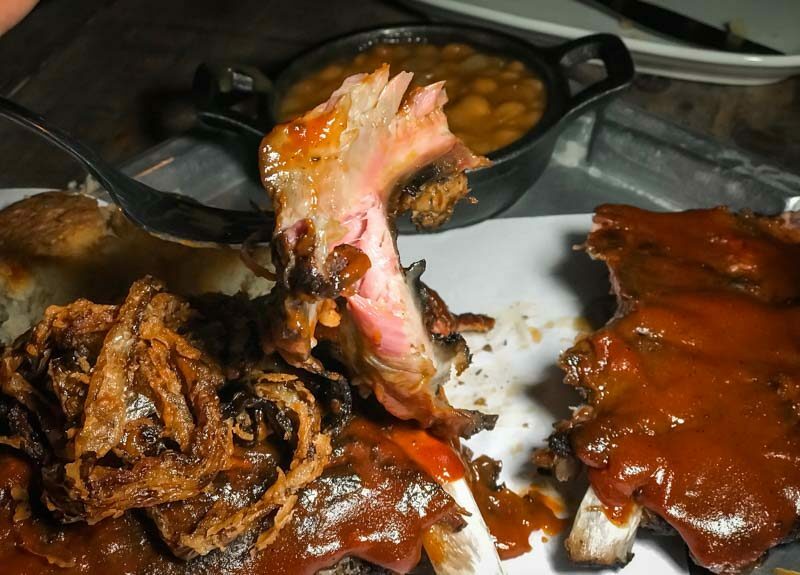 The Smokin’ Pug is the place to go, and the star dish (the Baby Back Ribs) has proven itself worthy of the hype.